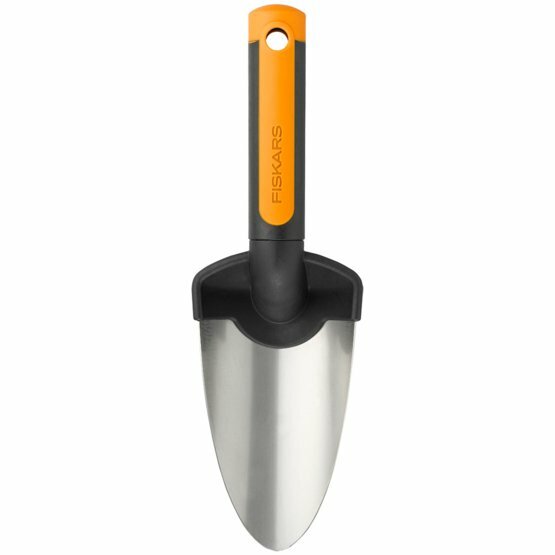 Fiskars Premium Planters Trowel is the ideal tool for planting and transplanting in hard ground. 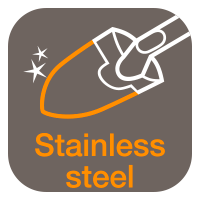 Its robust construction makes it a perfect nursery tool with its corrosion resistant stainless steel blade. This trowel has a sharp blade edge for better penetration to even the most resistant soil. 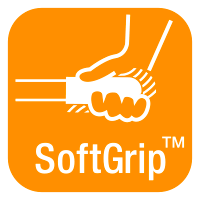 To better aid handling performance the body is made from durable and lightweight FiberComp™ while the hanging hole incorporated in the handle makes for easy storage.